Luke Bogacki’s brand new dragster treated him well at the NHRA Mid-South Nationals. 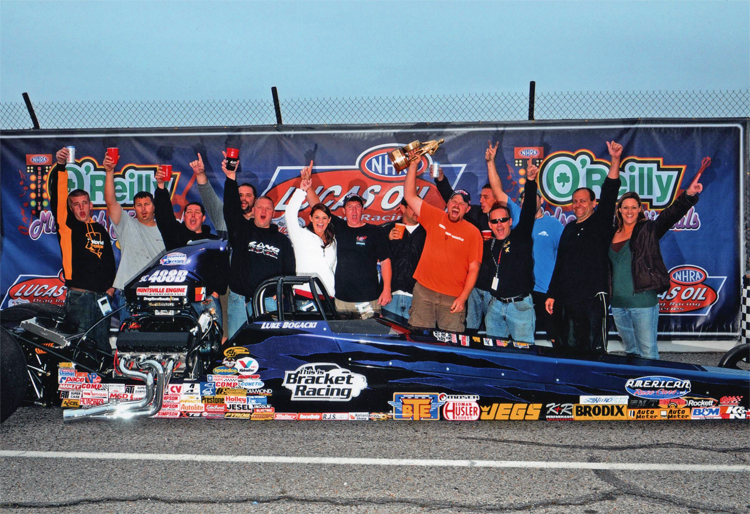 Bogacki drove his 2010 American Race Cars dragster to the Super Comp victory in Memphis, Tennessee. 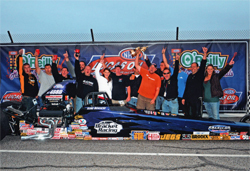 Bogacki said the initial success of his dragster has been fantastic. 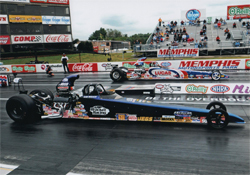 He raced the new car for the first time at his local Huntsville Dragway a few weeks ago. There, he drove to victory. One week later, he made his Super Comp debut a memorable one, advancing to the final round of the NHRA LODRS event in Belle Rose, Louisiana. 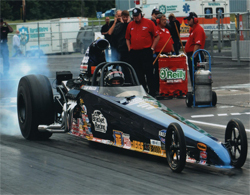 Bogacki proceeded to the NHRA Fall National in Dallas, Texas. He fell in round two in Dallas but made it to victory lane in Memphis, Tennessee. 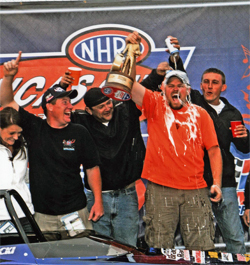 At the Mid-South Nationals, Bogacki claimed his second NHRA Wally of the 2009 season. He opened eliminations with victories over Rip Dennis and Troy Coughlin, Jr., before squaring off with Dallas Fall Nationals winner Lloyd Parfait in a pivotal third round match-up. Bogacki bested Parfait and crossed the finish line first by just .008 with both drivers hard on the brakes. 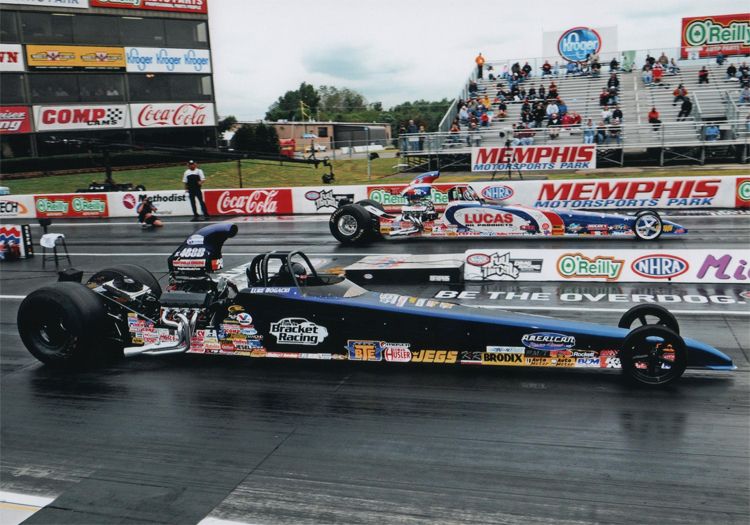 That set up a quarterfinal match with former national event winner and defending NHRA Super Pro national champions Bart Nelson. Bogacki won and took a spot in the final round where he faced off with Billy Torrence. Bogacki again won and took the victory.